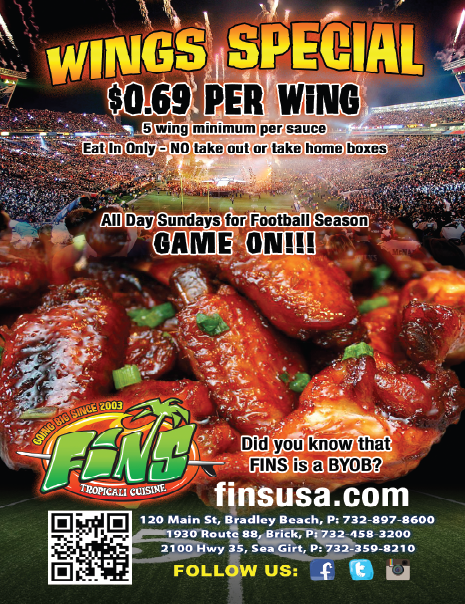 FINS ~ FOOTBALL ~ WINGS!!!! “One of my favorite local burrito places! 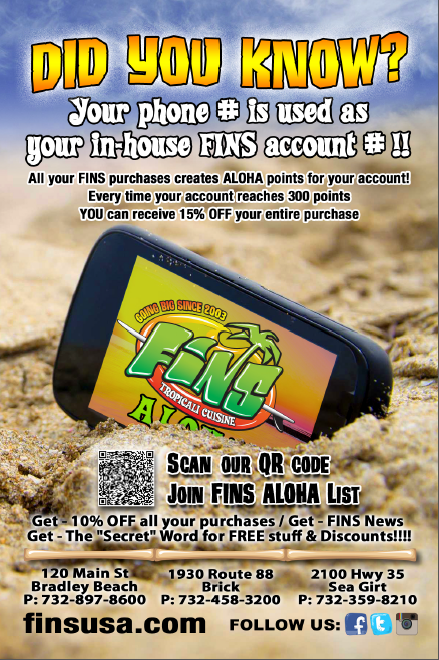 You have a lot of options around, but I would say FINS might be the best. They have the freshest tasting food of the three. The burritos, the wraps, the salads, all fantastic! Oh? And their salsa? The best, hands down. I love the atmosphere when I dine in (especially the fish tank). The service is pretty darn friendly, too. You get what you pay for. The quality (and portions) are absolutely worth it. My favorite meal there is probably the Bomba Shack salad, it has ginger and seaweed salad over mixed greens with coconut battered fish. The dressing is fantastically tangy. Thank you Alessandra for the awesome feed back!!! Get FREE Chips & Salsa w/ a $10 purchase!! !